Can Dogs Eat Salmon: Raw, Cooked, Skin or Bones? Today’s question: can dogs eat salmon? Is salmon good or bad for dogs? Scroll down for detailed answers. Salmon has a reputation as a delicious, oily fish. Salmon has a high protein level and is also high in omega-3 fatty acids as well as vitamin D. Salmon is considered one of the healthiest fish in the world for human consumption. While fish farming at large may be a contested subject, because farmed salmon might contain increased levels of dioxins and in the world for human consumption. While fish farming at large may be a contested subject, because farmed salmon might contain increased levels of dioxins and polychlorinated biphenyl levels could be as much as eight times higher in salmon from farms than wild salmon, it is still well below levels that are thought to be dangerous for humans. In fact, farmed salmon and wild salmon have almost equal omega-3 fatty acid content. While salmon, farmed or wild, may be nutritious for humans, can dogs eat salmon? How can you feed salmon to your dog? Yes, dogs can eat salmon. Salmon has a strong reputation for being a super food for humans; the same is true for your dog! Being high in omega-3 fatty acids and lean protein, it could be assumed that salmon is a perfect food source for your dog. It is. The omega 3 acids can enhance the luster in the coat of your dog; the shine in your pups’ eyes, heart health, and joints that move with more ease. When those humans who are older are urged to ingest omega 3 supplements, the same is true for their dogs. 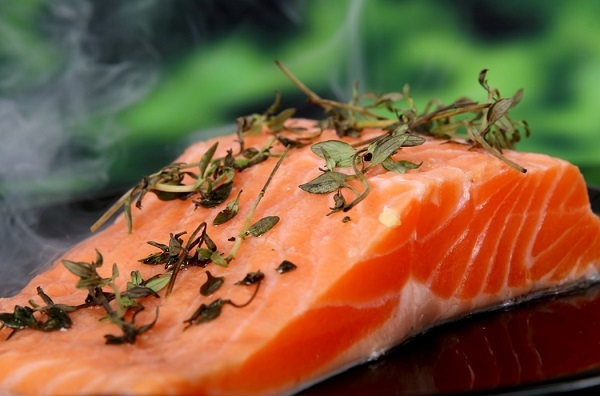 Via supplement or salmon, the benefits of salmon are great. Eating salmon also provides an added bonus of the vitamins from protein. Protein builds and maintains muscle health and keeps the body functioning normally. Coupled with omega 3 acids, the protein from the salmon will round out the added nutrients needed for a healthy life. A dog with a balanced diet with protein and omega 3’s will remain healthy longer, be able to run faster, and be admired for beauty longer. Salmon is the secret to this healthy and beautiful life of a dog. While eating salmon is perfecting fine for your dog to add to their daily diet, you must be careful in giving your dog the salmon itself. You must thoroughly cook the salmon to remove any potential germs and bacteria that can poison your pooch. You must also ensure that all of the bones have been removed for the meat. 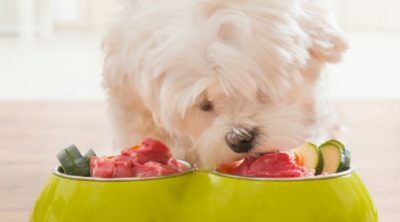 A stray bone in the mix could leave your dog choking, gasping for air, wheezing “Why?” This, undoubtedly, is not the hope you had when you fed your dog that last scrap of salmon from your ivory plate. 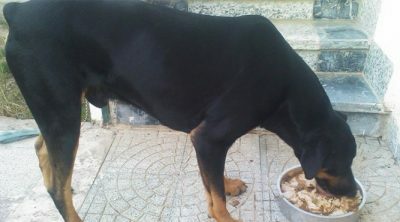 Stray bones in any food are a danger for dogs. Whether chicken ones, steak bones, or fish bones, all bones pose a potential for a painful death. Hazards of swallowing bones include choking, intestinal blockage, and intestinal tears among others. Simply taking the time to remove the bones carefully will pay off big in the long run. Having your dog eat salmon to remain healthy, only to get sick from a bone, is not the goal you intended. No, you had wished for him/her to enjoy the meat and the variety of food textures. Having your precious pooch join you in your decadent treat is an added bonus. Didn’t you intend on this? The oysters will not go down as well after sickness or death. And the champagne is a write off. I jest. If you are going to feed your dog some salmon, via part of his/her dinner, cooked especially for him/her, or fed to as leftovers, you need to ensure that the salmon is cooked through and free from potential toxins. The best way of knowing whether the piece of salmon is cooked well enough, on a fillet anyway, is that the flesh will fall, almost voluntarily, from the bone. You could whistle from 4 feet away and the meat would separate. The filet will appear almost flaky, and thick. When you know, you know. It’s quite obvious. You can also take the temperature of the meat with a meat thermometer and compare to the recommendations for salmon temp found on the fish package or online. The handy thing about smoked salmon is that it has no bones and is already cooked. The best feature of smoked salmon is the fact that the meat is free of bones and cooked! With dogs only being able to eat salmon that is free from all bones, feeding the pup smoked salmon is sure fire way in which to avoid stray bones and the dangers that come along with that. When I say smoked salmon, I mean the thinly sliced, almost raw in its texture, type of salmon. Not a whole fish that you have left in the smokehouse all morning. So toss that excess fish your dog’s way because there are no consequences to that. In fact, tossing the fish your dog’s way will only have a bonus for you and for the dog. 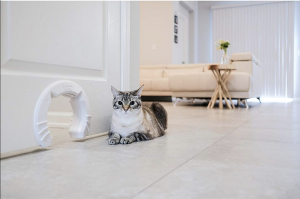 The dog will have the benefit of the added nutrients the fish offer and you have the added bonus of a well fed dog free from the risk of poisoning, choking, and intestinal problems. If you want to be really economical during the process of adding fish to your dog’s diet, and you have the remains of the fish having smoked it yourself, why not boil the corpse for a few hours and make a sort of salmon broth? The process of boiling the carcass into a broth will remove any extra nutrients from the bones and the remaining flesh, which in turn can be used alongside a more wholesome food; something more filling, like kibble or other meats. This broth will be filled with extra vitamins and minerals that were contained within the bones and excess flesh of the fish, which will add huge nutritional benefits to even the most average of meals. Bone broth is a healthy rend right now, with scientists and nutritionists figuring out the incredible health benefits bone broth has to offer. This broth can be made from any animal bone, but fish bone broth may have the added nutrients of fish oil that you just cannot get from beef bones. Broth can add gelatin to your diet, boost immune system, cure colds and intestinal tract issues, improve your gastrointestinal system, and heal any tears inside the body. 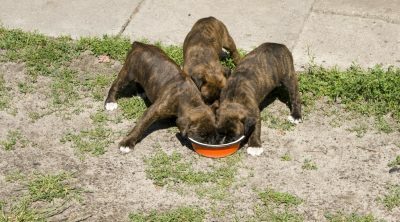 Feeding your dog bone broth from the fish carcass can be done as a drink in the food bowl, or mixed over kibble and a sauce. Either way, your dog will benefit from the added nutrients you easily prepared. Oily fish is good for humans by way of providing natural oils to enhance our hair and skin molecules. The rich vitamin content is also something to be desired, as thiamin and vitamin B6 can be hard to come across in other food sources. With regards to dogs, a healthy coat and skin are extremely desirable. No one likes the sight of a mangy coat being gnawed on by a distressed animal, let alone your own dog. Chewing on paws is a sign of extreme itch in dogs, as well as chewing on the hip. 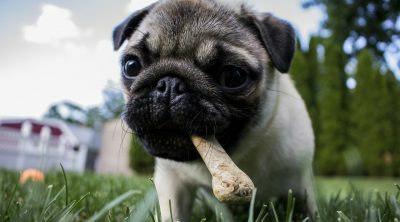 When dog’s skin dries out, lacks nutrients, and becomes inflamed, the dog will chew until their hip or paw is raw. Itchy skin is not compfortable to humans, but is especially detrimental to dogs. Keeping your pups coat and skin smooth and moisturized is the key to keeping the dog healthy overall. The kinds of nutrients offered through salmon, over long periods, will provide your dog with the right balance to fight off later life illnesses and ailments like eye problems and arthritis, which are all too common among older dogs. Dogs have a smaller life span than humans and also come down with the same ailments we do. The ailments appear at younger ages in dogs than in people, therefore the vitamins and supplements needed to be offered at a young age to pups so that the long life led (in dog years) is one of health and comfort. Oily, omega-3 rich fish are incredibly beneficial to the human brain. Brain benefit is high for dogs as well. To keep the brain of your dog well nourished and able to function, nutrition and vitamin composition is just as important. Through feeding your dog some salmon on a semi-regular basis, you can help prevent degeneration of the brain in older age. Stiffness of the joints, like arthritis, is also known to respond well to foods such as salmon or other oily fish. On the other hand, and not to scare you, but salmon can be filled with flukes. These are parasites that can cause nausea, vomiting, diarrhea and even death in dogs. Poisoning from salmon is a legitimate concern, which is why considerate preparation is a priority. However, as long as the salmon is caught in a safe manner, presented safely at the market, cooked well, and separated from the bones, you will have a much lower risk of inviting toxins into the body of your dog. If you are concerned about flukes, then you should choose canned salmon, which is definitely fully cooked. For dogs, canned salmon is better to choose as well as smoked salmon. Tinned salmon in spring water, rather than brine or oil is also a more ideal option because the bones can be eaten without any concern over a choking hazard. However, since canned salmon has high sodium content, do not feed it to your dog regularly. It is best to cook the salmon and not feed it to your pup raw. Raw salmon can contain salmonella or parasites. 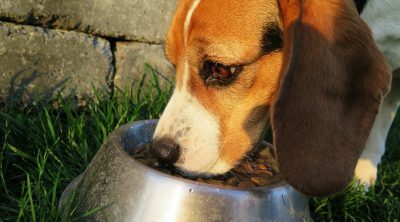 Salmon poisoning (when contracting the Neorickettsia helminthoeca parasite) can be fatal to dogs. Even if your dog ingests a small piece of raw or uncooked salmon, you dog can get the harmful parasite. If parasite development happens, just keep an eye on your dog for signs of discomfort, such as vomiting or diarrhea. Vomiting and diarrhea, despite being an uncomfortable part of the recovery process, can lead to dehydration. So be sure to leave them plenty of water. If you’re cooking from raw, with store-bought salmon, I’d suggest using some virgin olive oil or high quality vegetable oil. These can combine with the natural oils of the fish, which is extremely healthy. It can’t be stressed enough to cook the fish well; over cooked salmon is better, for your dog at least, than under cooked salmon. You should also remove any skin because it’s really fatty and offers few nutritional benefits. Many of the highest quality dog food brands offer salmon-based produce. There is a good reason for the inclusion of salmon into your regular dog food. 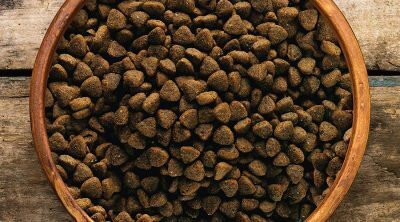 Dog kibble plus salmon is highly nutritional and the results are the ones your dog will thank you for. Particularly in older dogs, salmon can ease and prevent degeneracy, like arthritis and tinnitus. This oily fish will also, undoubtedly, produce a fine coat and prevent and even treat those pesky skin disorders that older dogs often suffer from. If you have loads of salmon to spare and are wondering whether or not you can throw it your dog’s way, go ahead. It’s a more than acceptable meal for them. Like stated before, dogs can eat salmon. Salmon is definitely a healthy food source for dogs, notably for its high fatty acid content, which can be hard to find in other food sources. A diet high in salmon will produce a beautiful coat for your dog, and well as healthy skin that’s free of irritation. If you have a dog with skin trouble, it would be wise to add some salmon to their diet and see if the omega-3 fatty acids produce any sort of results for the irritation. These fatty acids will also benefit your dog’s brain functioning, just as they do with humans. Hence why many of us choose to consume cod liver oil by way of capsules. 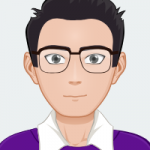 A final note on salmon is that it has a low saturated fat content, especially when compared to red meats, which makes it better for more dogs, whether young, old, active or over weight, salmon is a nutritional wonder for dogs.